Keep hope alive no matter how long kitty has been missing. Some kitties have been known to find their way back home even after being gone for months. When you first notice kitty is missing search immediately near area where kitty was last seen or lives. Knock on neighbors doors and ask to see their sheds and garages. A kitty can accidentally get stuck there. Call your localshelters,Give full description of your kitty. If you have a photo that is even better but only if the photo is one that accurately depicts your kitty at the time of his/her disappearance. Thereafter, Keep calling shelter daily. A personal visit to the shelter many times is also very helpful.. Check your local newspaper for "found" ads every day as well as online. their home as such try those closest to where you kitty was lost but do also try those further just in case you kitty got picked up by someone that does not live in the area. Get info/flyer out with only a physical discripto fo kitty & include picture if you have one that gives a good depiction of kitty. Do not give the name of your kitty, as may not respond to its name when lost and frightened. On top of the flyer in large print REWARD, Post Flyers at busy intersection where many may see it BUT avoid posting on utility poles as you can get fined $50.00 for violating Connecticut State Statute Section 23-65. Instead leave flyers with folks in the area where your cat got lost. pet shops, grooming shops, etc. Visit as many of these places as you can and ask permission to hang up a flyer. Whenever possible do not leave it for them to do. crews and anyone working on the roads. Look for your kitty early in the morning when traffic is quiet, kitties will be out and about looking for food but will hide when traffic and noise picks later in the day. For some folks putting some of their cats litter outside ( on a porch, by the stairs or garage, etc. ), so cat can pick up the scent has brought success. Keep in mind that your daily vigilance is important. Keep calling the shelter and realize that some shelter will put kitty to sleep if it is not claimed within 10 days. Set a humane trap nearby the area where you think your cat got lost. These traps can be obtained from Hardware stores or you check with local shelter to see if they can loan one to you or rent one. Hang a piece of chicken or similar food to get the cat's attention on the food and deter it's attention to the trap. Check the trap SEVERAL times during the day. Cover the top of trap with some branches and have it in the shade to protect the animal from the sun. The downside of this is that you may also trap other animals, but worth it a try if you are able to get your cat back. 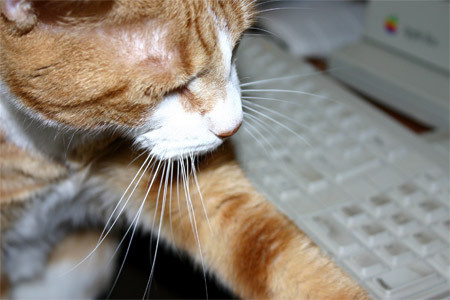 Have hope and let help you in your search by having your kitty posted on our website.